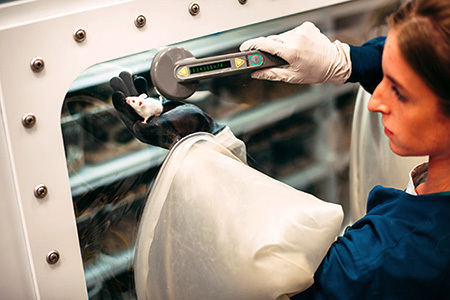 In a recently published article in GEN Exclusives, Taconic Bioscience's Dr. Jeff Lohmiller, VP of Quality Systems, describes the critical role health standards have always played in the use of research lab animals. He explains that evolving industry needs and advancements in research and the animals that support it that have made health standards a more prominent consideration. Dr. Lohmiller concludes that the complexity of biomedical research and the sophistication of animal models make selecting and maintaining models at the right health standard essential. Animals with immunocompromised systems due to breeding or genetic modification are less tolerant of opportunistic organisms and confounders and so higher health status is increasingly preferred. Similarly, therapeutic areas such as immunology and oncology often require animals at a more restrictive health status that are free of organisms that could affect the immune system and assure better study results. The role of the microbiome in disease development, nutrition, drug metabolism, etc. is a relatively new factor affecting animal health standards and it’s becoming desirable to obtain models in which the microbiome is controlled using models of the ultimate restrictive health standard, germ-free. New findings about the impact of bacteria and other organisms influence animal health standards. For example, there is growing evidence that segmented filamentous bacteria (SFB) can alter the immune system. Knowing whether SFB is present or absent in a model allows the investigator to control for this variable, making results more reproducible. Likewise, while there is no consensus about the impact of Proteus on disease, because it is known to be a swarming bacterium that quickly overgrows culture plates, more researchers are requesting its absence. Study Objective. Choose a health standard reflective of a studies purpose. When conducting studies focused on the role of the microbiome, it may be useful to choose a health standard that precisely defines the organisms present. For an infectious disease study, an investigator may want to start with a control group of animals free of the bacteria being studied, whereas for therapeutic areas known to be impacted by immune response, such as immunology, oncology, and inflammatory disease, a more restrictive heath status may be preferred. Study Timeframe. Obtain animals of a consistent health standard over time to improve reproducibility of results for longer-term studies. Consistent health standards over the long term require the lab animal breeder to use well-defined breeding and husbandry procedures and perform rigorous health testing and monitoring. Study Environment. The facility where animals will be housed and studied is an important consideration, since a more restrictive health standard poses more requirements on the infrastructure and operational stringency. For instance, space constraints make it difficult to segregate animals from different vendors, which is necessary for maintaining one or more strains at a higher health standard. Isolators, individually ventilated cages, sterilized materials, stringent husbandry practices, and regular health testing can help lab staff maintain animals at a more restrictive standard. Budget. Animals bred under higher health status conditions are more costly to produce and available in smaller supply, so it is necessary to balance health standard, cost, and availability in choosing the best model. The budget can impact the facility’s ability to employ sufficient practices to maintain more restrictive health standards consistently, as well as the appetite for purchasing models at a higher status. Stress. The choice of a health standard is an important consideration based on the level of stress the animal will experience during the study— from radiation, invasive surgery, dietary restrictions, exposure to infectious agents, or transportation. The greater the stress, the more likely the model will need to be free of commensal or opportunistic organisms. Breeding Partner Capabilities. It is generally best to choose an animal model from a broad portfolio of well-defined models available at various health standards, supported by well-documented data about the presence or absence of organisms. If the breeder offers a model with a particular genetic background on multiple health statuses, the investigator can continue a long-term study with a more consistent model, only updating the health standard if needed. Expect the breeder to demonstrate well-defined quality control processes and procedures and rigorous health testing, and to provide not only a list of excluded agents, but a report of all agents tested for at all locations. As biomedical research grows more complex and animal models become more sophisticated, animal health standards will become more important in the model selection process. By understanding how the health standard may impact the model and the study results and by keeping these six pillars in mind, investigators can select the best model for each research endeavor. Learn more about Taconic Biosciences' Health Testing Program, including the Health Standards employed at Taconic.